When it comes to newly laid turf, maintenance is key. Many customers underestimate the amount of care needed to keep their lawns fresh. We can offer sage advice, as well as performing a regular set of maintenance checks for our customers. Feeling stumped for choice? For years our customers have relied on our environmentally friendly tree felling services. If you have a wildly growing tree which poses an immediate health and safety risk, we can remove it from your property. We also offer thinning and pruning treatments to help maintain your trees. 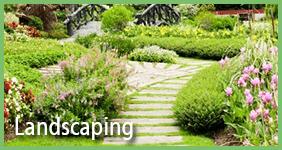 Our job is to restore gardens, landscaping , providing yard clearing, trimming and weeding, paving , turfing , retaining walls , gardening maintenance, lawn maintenance and also tree lopping and stump removal , and high pressure cleaning services. Our service provides amazing attention to detail whilst remaining practical to your horticultural needs. We are a fully qualified and insured team, operating 7 days a week. A&A ABLOOM ACE is operated by brothers Sam & Chad who have been working as business partners since 1995. 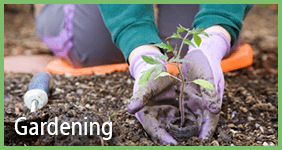 With decades of experience under our belts, our fully qualified and insured team ensures a keen eye for detail when it comes to suiting your gardening needs and desires. Innovative and yet functional, we endeavor to fit our flexible services around the working-day lives of our clients, offering a quality service and value for money. For more information or a free quote contact us today.